An HSE-backed Oxford University study concludes the classification of night work as a cause of breast cancer ‘is no longer justified’. Cancer Research UK says women should be ‘reassured’. 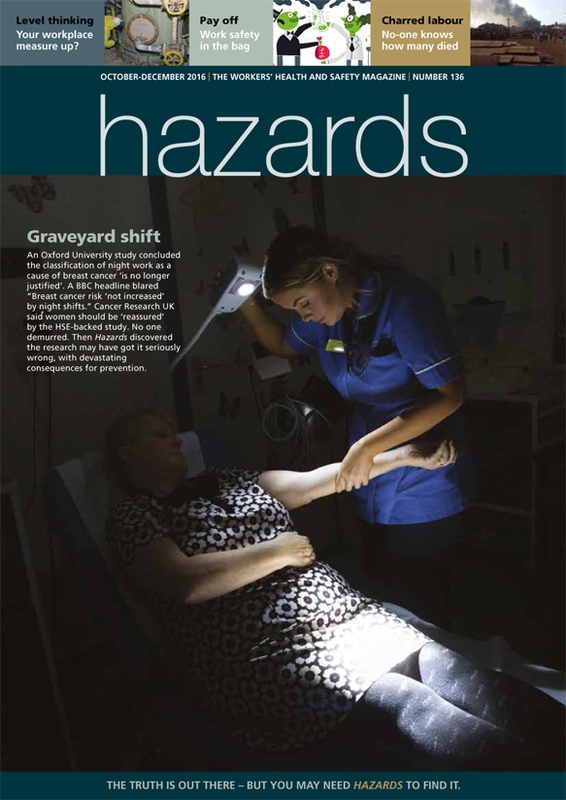 But Hazards discovered the research may have got it seriously wrong, with devastating consequences for prevention.